This week we try and make sense of the White Wizzard controversy with Joeseph Michael, the ousted singer of the band who’s become the focus of his former band mate Jon Leon’s ire. We also have Adam D from Killswitch Engage on the podcast to talk about the upcoming tour with Lamb of God, their album with returning singer Jesse Leech, his death metal project with Corpsegrinder and whether or not metalcore is dead. 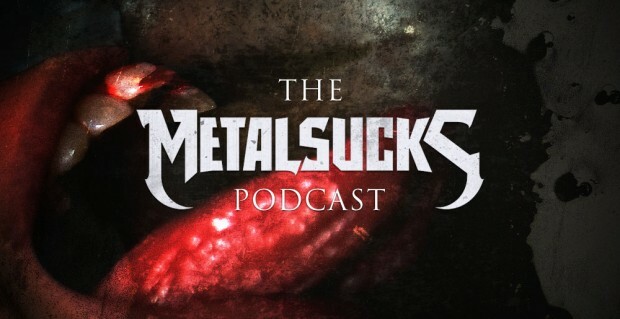 We also try to figure out why Danzig is such a douchebag (we could do a whole show and not find the answer) after he tells his audience to attack a fan filming his performance, and we discuss whether you need to put your damn phone away during a live show. To hear the full interview with Joseph Michael, including some segments not included in the Podcast due to time restrictions, click here.